Like some 25 million other folks, I own a copy of Fleetwood Mac’s Rumours. I purchased my vinyl version when it was released in 1977, and when I pulled it out the other day to see if I was ready to turn it in for a dollar credit at the used-CD shop, I was pleasantly surprised. Even though Bill Clinton’s use of “Don’t Stop” for political purposes has soiled that tune for me, tracks such as “The Chain”, “Second Hand News”, and “Go Your Own Way” make it clear that Rumours is one ’70s pop item worth hanging on to. When I want to hear the band at its best, though, I’ll toss on 1969’s Fleetwood Mac in Chicago, for which then-guitarists Peter Green, Jeremy Spencer, and Danny Kirwan joined bassist John McVie and drummer Mick Fleetwood in some brawling blues jams with the likes of Buddy Guy and Willie Dixon. All this fuss about Fleetwood Mac touring in its Rumours-era incarnation is fine and dandy—it even gives me the opportunity to take my mother-in-law to a concert. 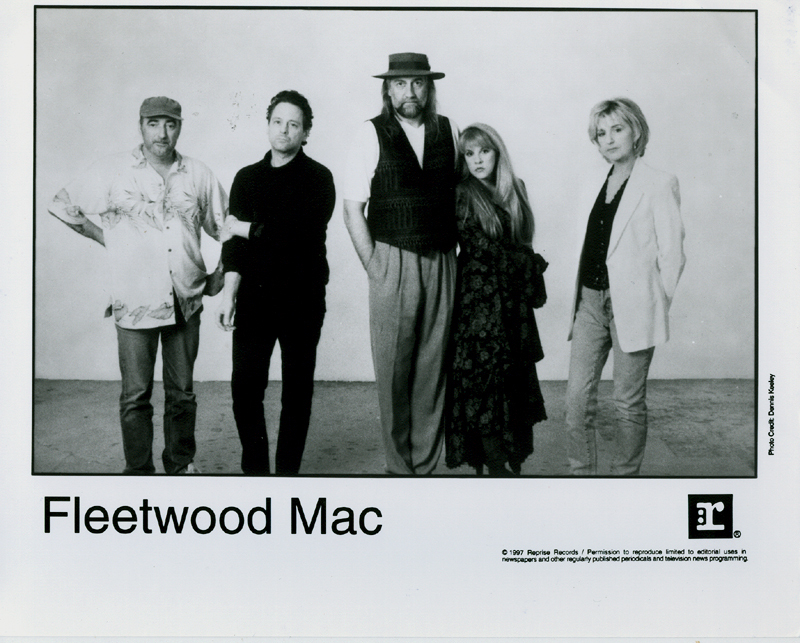 But when Fleetwood—still with the group he helped start 32 years ago—calls from Cincinnati, I throw him for a loop by wondering if he would ever consider a reunion tour of his band’s original lineup. Long before the pop-minded duo of Stevie Nicks and Lindsey Buckingham put their radio-friendly stamp on Fleetwood Mac, drummer Fleetwood and bassist McVie enjoyed the brilliant company of Green, one of the least heralded but most influential rock guitarists of all time. Gary Moore recorded a tribute album to him in ’95, Blues for Greeny, and that same year more than 30 musicians banded together to record 28 of his songs on Rattlesnake Guitar: The Music of Peter Green. According to Fleetwood, Green recently came out of a lengthy bout with paranoid schizophrenia. “He’s playing again, which is all I need to hear,” says Fleetwood, whose history with the guitar great predates even the earliest edition of Fleetwood Mac: the two first joined forces in Van Morrison keyboardist Pete Barden’s Looners, backed the young Rod Stewart in Shotgun Express, and rose to prominence in John Mayall’s Bluesbreakers. Of course, Fleetwood’s current allegiances don’t allow him to sneak in those 12-bar blues blasts any more. You can’t blame Fleetwood for giving the people what they want, or for reaping the financial rewards. If he were doing a reunion tour of the original Fleetwood Mac, he’d probably be playing the Yale instead of the nearly sold-out GM Place this Sunday (October 12). So when the current lineup first came together, did he have any inkling that it would go on to record the third-highest-selling album of all time? Most all of Fleetwood Mac’s mid-’70s hits were written by vocalist Nicks, vocalist-guitarist Buckingham, and vocalist-keyboardist Christine McVie—who has been with the group since 1970. The rhythm section stays mainly in the background, although on rare occasions Fleetwood and McVie garner songwriting credits—as for “The Chain”, which kicks off the band’s new live CD, The Dance. The wrist-driven economy of Fleetwood’s drumming—“That comes from many long nights alone,” he jokes—is particularly pronounced on that song. Nowadays, Fleetwood Mac’s travelling style is a tad more extravagant than it once was—but the touring life is also a lot less bacchanalian. The self-proclaimed “old gigster” describes the Rumours era as one big party. The hazards of the road for Fleetwood Mac in ’97 don’t involve the after-effects of wild parties any more. This year the group’s vocalists are more concerned about talking too loud after a show. POSTSCRIPT: the Vancouver concert was cancelled at the last minute. Something to do with Stevie Nicks. My mother-in-law was not impressed.